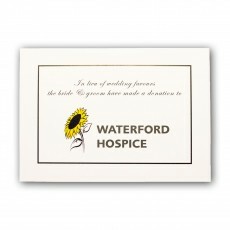 20 Waterford Hospice Wedding Favour Cards. On your very special day you may choose to make a donation to Waterford Hospice rather than provide wedding favours to your guests. 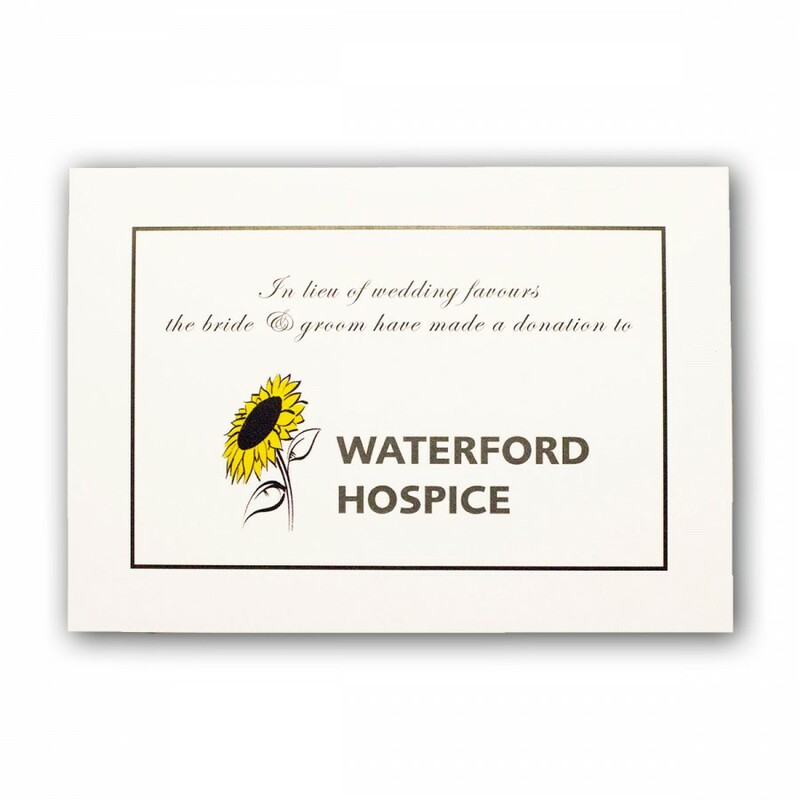 The message inside the card advises guests that you have made a donation to Waterford Hospice in lieu of Wedding Favours. The donation is entirely at the discretion of the couple and four to six cards are normally requested per table. 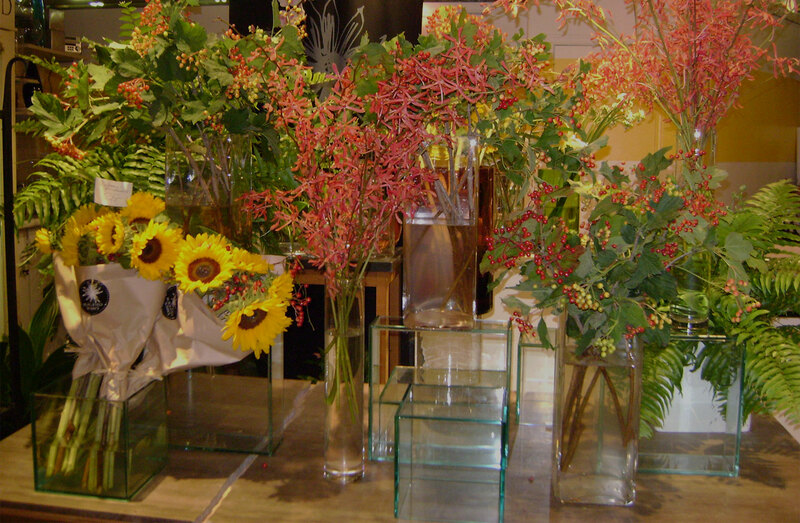 Once the donation has been received cards may be collected from the Hospice or mailed to your address.